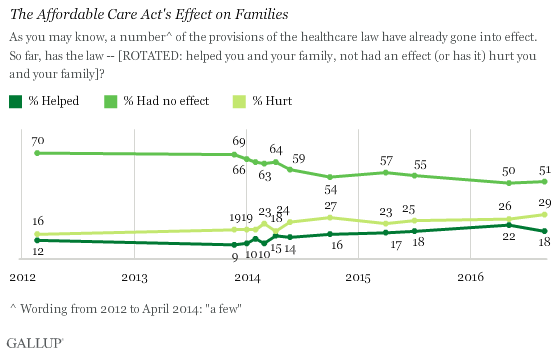 Families choosing a plan through the exchanges have seen their premiums more than double since 2013. In some states, a wave of insurers leaving the exchange market has created situations where only one insurer is offering products for entire states. Alabama and Alaska, which have seen the two highest cumulative premium increases, are both down to only one insurer. In the entire country, only Virginia saw the number of participating insurers increase from 2016 to 2017. Just today, Blue Cross Blue Shield of Kansas City announced it would be exiting the exchange, leaving 25 counties in Missouri without a participating insurer for now. The lack of choices and competition in a growing number of places makes it unlikely that there will be an end to rapid premium growth, absent reform.